ACL Injuries in Dogs – Everything You Need to Know! As dog owners, we all love and care for our pets and hate to see them in pain as we would our own family. One common injury dog’s face is to their anterior cruciate ligament, better known as the ACL. If you have noticed your furry friend unable to bear weight on a certain leg or has swelling on the inside of their knee this may be starting symptoms of an ACL injury. If you’re afraid that your dog may have an ACL injury, here’s everything you need to know. We’ll be discussing the differences between tears and sprains, symptoms to look for in your pup, home remedies to try, and how it can be diagnosed. We will be using the phrase “ACL,” but technically it would be considered a cranial cruciate ligament or “CCL.” The terms are typically used interchangeably, with most people more familiar with the term ACL. When talking to your veterinarian you may hear them use the words “ACL” and “CCL” interchangeably. This is only because your vet wants you to be able to relate and understand what is going on with your pet. Anterior cruciate ligament (ACL) and cranial cruciate ligament (CCL) are used hand in hand by vets when discussing the issues with dog owners because most people have heard of ACL injuries in athletes or have personally experienced one themselves. It is easier for the vet to connect and explain what is going on with the dog. The anterior cruciate ligament is the tissue that connects the thighbone to the shinbone at the knee in humans. Injuries to the ACL usually occur during certain sports such as basketball, soccer, football, skiing and even tennis. Symptoms that typically come from ACL tears and sprains are knee swelling, instability, and pain. Similar to the ACL is the CCL which is functionally similar to the ACL, but in dogs. This ligament connects the back of the femur with the front of the tibia. The CCL is responsible for keeping the tibia in place beneath the femur and stabilizing the knee joint. Symptoms that come from CCL tears and sprains include swelling behind the dog’s leg and showing favor to one side being unable to bear weight on a certain leg. Is your dog favoring one side more than the other? Is the back of the leg more swollen? Does your pet limp? Has there been a decrease in activity recently? If you answered “yes” to any of these questions your dog may be suffering from an ACL injury. ACL injuries can be classified as two different forms; sprains and tears. Even though symptoms can help pinpoint what is wrong with your dog, a pet owner must bring their dog to a professional to be clearly diagnosed for which injury your pet suffers from. Sprains and tears are different on levels of severity and treatments your furry friend will have to go through. Here are the general differences between an ACL sprain and tear in your pup. ACL sprains are typically the less severe of the ACL injuries. An ACL sprain can occur when your dog stretches too far, too much, or too often. All types of dogs can get a strain, but the injury usually happens when a dog slips, falls, or jumps during their normal play regime. A sprain is not as severe as an ACL tear and can be treated with natural home remedies and rarely require surgery. Click here to see some of the many home remedy options. These injuries are more severe, and result from having the cruciate ligament separate from the bone. Surgery is the only option to truly treat this injury. ACL tears occur due to the result of a “hyperextension of the knee joint.” In these injuries, the ACL is “thrust forward” ie. hyperextension. Some of the more common scenarios reported from dog owners revolve around the dog chasing a squirrel in the backyard or playing hard with friend. Click here to see how ACL tears are diagnosed. How Are Dog ACL Tears Diagnosed? 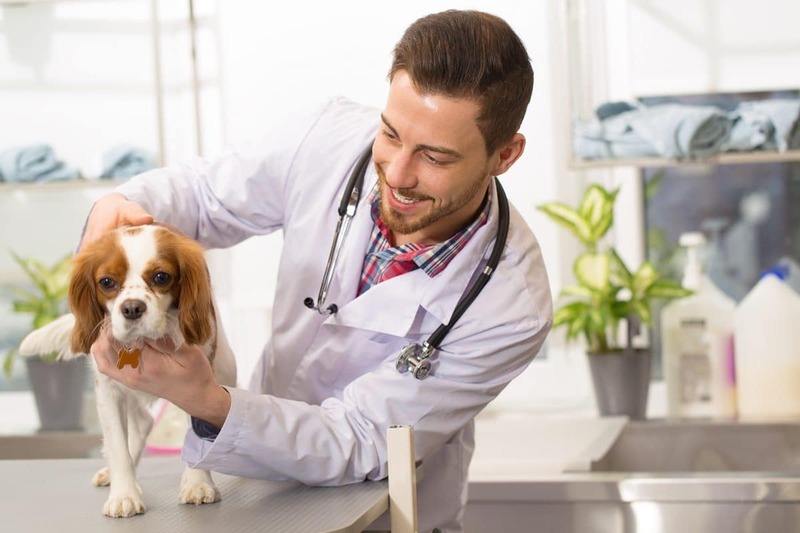 Going to the vet to decide whether your furry friend needs surgery can be nerve wracking, but for best diagnosis it is imperative that you seek the advice of a veterinarian who is familiar with diagnosing dog ACL tears. Diagnosis is based on different tests a vet can perform, one being called the cranial drawer test. During these tests, it is imperative that your dog be calm, so be aware that they may put the dog under a little anesthesia to have them be relaxed to make sure the test is done correctly and in a timely manner. “The examining veterinarian positions their thumb and forefinger of one hand on the femur, and the other hand is placed on the tibia. The femur is held in place while the other hand shifts the tibia backward and forward. Finally, another test your veterinarian can use is to have radiographs, for example x-rays. Usually these x-rays are taken of the knees and the hips. X-rays are a great tool because they can show if your dog also is suffering from arthritis and can show if they have any other health issues such as fractures that can be contributing to their pain. • Labrador retrievers, Newfoundlands, German shepherds, Rottweilers, and Golden retrievers are among to the top dogs for ACL injuries. • Weekend warrior dogs are considered dogs who do not get a lot of exercise during the week due to their owner’s work schedule but during the weekend partake in strenuous activity. • Dogs over the age of 5 are more prone to injuries. • Lack of conditioning coupled with obesity is a common factor in many dogs that have sustained an injury to their ACL. Do Dogs Need Surgery for a Torn ACL? One of the most common questions we get regarding a torn ACL is “do dogs need surgery for a torn ACL?”. Unfortunately, the answer is yes. This isn’t something that just heals on its own. If your vet does diagnose a torn ACL, it is very likely that surgery will also be recommended. This is why knowing the difference between a torn ACL and a sprained ACL is imperative. If you have decided that your dog needs ACL surgery you may be wondering about the price you will be paying. ACL surgery cost has a lot of different factors that goes into it and can range in price depending on the veterinarian you choose, the region you live in and the severity of the issue, meaning the procedure that is recommended by your veterinarian for your dog’s ACL repair. On average though a traditional ACL repair can cost anywhere between $1,000-$2,000. This price can change though if you have pet insurance. For those whom a surgery is cost-prohibitive, a supplement like Flexpet can help ease pain and discomfort in your dog, and is used by some to help as a long-term aid. However, a torn ACL will not heal on its own or with a supplement/medication. As discussed, tears need surgery, but sprains can use home remedies for recovery. Different types of home remedies could be as simple as rest and not having the dog participate in activity. This usually works best in small dogs weighing less than 30 pounds. For larger dogs, anti-inflammatory medication (pill or lotion) for six weeks to two months either swallowed or placed on the dog can help. Another initiative one can take is buying their dog an ACL brace. These braces can cost $10 on the cheap side, and up to $700 for more expensive, custom made braces. ACL braces are good choices in home remedies for dogs suffering from ACL injuries, because ACL braces offer therapeutic support and stabilization before and after surgery. It is also useful in cases when surgery is not necessary or feasible. Immobilization of the knee and leg promote reduced pain, inflammation and support during healing. ingredients such as cetyl myristoleate which promotes pain relief and reduces inflammation, hydrolyzed collagen type 2 which helps renew and maintain connective tissue, finally the supplement should include the ingredient glucosamine sulfate which rebuilds the joint and cartilage. Of course, we recommend Flexpet as the most comprehensive and effective remedy for joint pain. And, in the case of an ACL sprain (which may not require surgery), it can be very effective in relieving pain and getting your dog back on its feet. We also provide a money back guarantee so there’s no risk to you. You can find more key information about Flexpet on our home page, or simply contact us with specific questions. 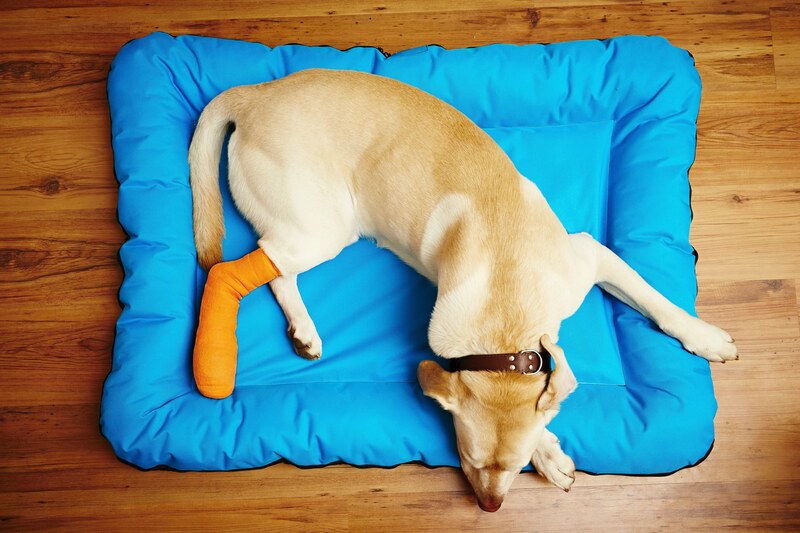 After a dog undergoes ACL surgery a great option would be for them to start taking Flexpet. Flexpet can help relieve pain, help with inflammation, renew and maintain connective tissue, and will help in rebuilding joints and cartilage. Please be aware though that if you choose to have your pet on Flexpet after surgery make sure to monitor your pet’s activity because many dogs will start to feel relief and push themselves in strenuous activity. Make sure to keep your dog’s activity limited and not allow them to push themselves too hard, causing further damage. 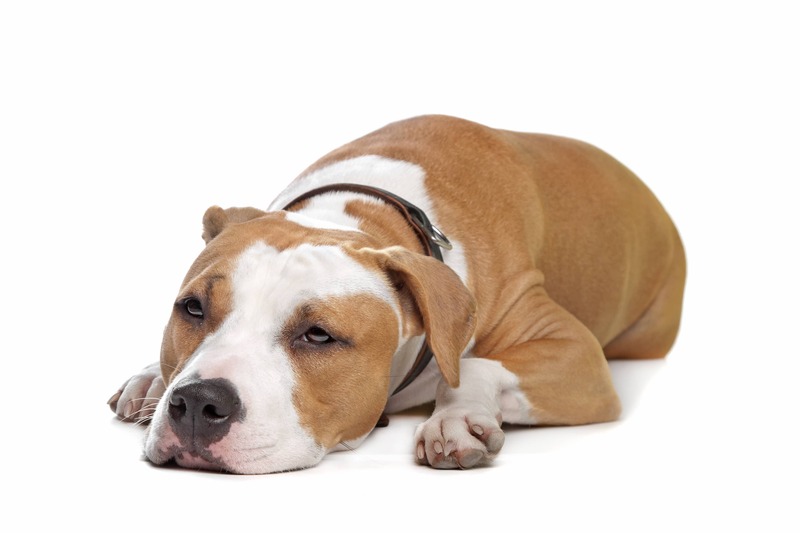 Does Flexpet interact adversely with any pain medications? No. Flexpet is an all-natural supplement and has no known adverse interactions with any pain medications. What are ingrdients in Flexpet? Please let us know if there is any other information that would be helpful for you! Yes, Flexpet is manufactured in the USA. What is the difference between Flexpet and Dasaquin? One of the biggest differences that you’ll see is that Flexpet has CM8. This is the key ingredient that makes Flexpet so effective. CM8 stands for cetyl-myristoleate (and you can read more about it at http://www.cetyl-myristoleate.com). Basically, it’s a naturally occurring compound that functions as an anti-inflammatory, joint lubricant, pain reducer, and immunomodulator. CM8 is not found in Dasuquin or any other supplement on the market. Please let us know if you have any additional questions or if we can help in any way. My dog is currently taking prescription Mexicam and OTC glucosamine condroitin for a possible ACL injury… at his vet’s rec – would your product be redundant or better? Also, would you please recommend a brace manufacturer? Thank you for your timely reply. Hi Debra – so sorry to hear about your dog. That’s tough, and it sounds like he’s going through a lot there! Of course, you should consult your vet before making any changes. With that said, Meloxicam is a prescription drug, and you should consequently keep your dog on that unless otherwise directed by your vet. What we would recommend Flexpet for is a replacement for the glucosamine supplement. Flexpet does contain glucosamine, so your dog will still be getting that. 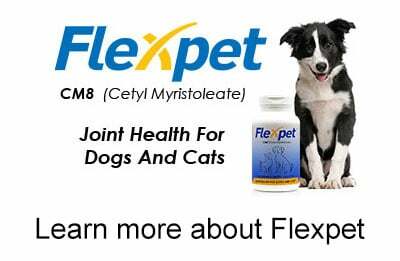 However, Flexpet also contains CM8 which is a very effective all-natural pain reliever and anti-inflammatory. So, it will be a clear upgrade from glucosamine alone. The one caution is that, while not a side effect, too much glucosamine can result in loose stool (kind of like eating a lot of prunes at once). So, just be careful if you give the dog both at once instead of replacing one for the other. Flexpet is also all-natural, and therefore won’t interfere with any medications, such as Meloxicam/Mexicam. So, you should be good on that front. If you have any other questions, feel free to reach out to our customer care team at [email protected] Thanks! What if I can’t afford the surgery because my dog does have an ACL Tear, but does not seem to be in any more pain although she does not use the leg when walking, Dont know what to do cuz I’m thinking her good leg will become bad from overuse, any advice? Hi Charlene Denise Young, sorry about your dog, but my dog had the same thing, extreme pain and could not walk on the back leg at all. This does not mean your dog must have surgery. This is what the vets and vet surgeons toute tplo or tta surgery. Tplo and tta dog knee surgery are unnecessary very profitable surgeries, that is why they toute it as the gold standard, yes it is the most profitable painful surgery. Why force your dog into this painful surgery, I ended up getting a posh dog knee brace and they did recommend the flex pet supplement, and in only several months, my dog was walking on all four legs, not even limping anymore. We never bought that highly risky painful surgery. So you do not have to buy that surgery either. Don’t let the vets push you around, do what is right for your dog, do not buy that risky painful surgery. The vet diagnosed by dog with a completely torn acl or ccl knee injury and an orthopedic surgeon touted acl ccl tplo knee surgery. They told me it was completely safe. But I ran into someone with their dog in the parking lot. She said she bought her dog the tplo surgery, and her dog is still in immense pain months after the surgery. She said the vet and vet surgeon also touted how safe tplo surgery was, but with research she said so many dogs succumb to painful expensive life threatening infections, many dogs will never walk normally again after the touted tplo surgery. The vet orthopedic surgeon is so friendly and all smiles and pretends to love your dog, but all the surgeon is smiling about, is the money. Then the surgeon lied that only rotties rottweilers get bone cancer from tplo surgery. But with research, any and all breeds can succumb to bone cancer from tplo or even tta surgery. Finally I ended up getting a posh dog knee brace and posh brace recommended Flex Pet supplement to help too. With the posh brace and the flex pet supplement, my dog, only walking on 3 legs, is now walking on all 4 legs several months later and we no longer use the brace. Fortunately I never succumbed to the touted tplo surgery. Tplo is a nightmare of pain and suffering for so many dogs, not to mention the thousands to save tplo dogs from this painful unnecessary knee surgery from the severe painful infections, amputations, damaged knee from the surgery and dying from bone cancer caused by the tplo surgery. Extra strength for large dogs and dogs with sigificant pain. Ready to help your dog? New customer special - 10% off through today (plus money-back guarantee)! Just use the promo code FP18PC, or click the link below to go to the Flexpet Store with the promo code already applied! Go to Store With Promo Code Applied!